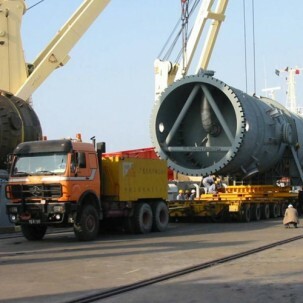 We at Sharaf Shipping understand that importance of every piece of equipment in your Project. A chain is as weak as its weakest link and therefore we want to ensure that every equipment of your Project is handled with care. Whether it is heavy engineering equipment or rig operations gear, tanks or boilers, precision cases or boats, we ensure your cargo is handled with efficiency and effectiveness. The task of loads that cannot be unitized requires exceptional management of equipment and control at a minuscule level. This also requires detailed Project planning, route selection, site survey, packaging, transport, cranes, communication, stowage and delivery. Our distinctive combination of backward and forward integration of shipping, logistics and marine capabilities mitigates risk and cost, provides transparency in handling and peace of mind throughout the project movement.